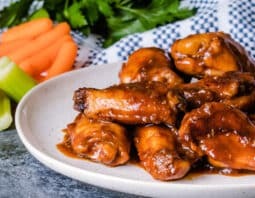 Move over buffalo wings, this is the only Chicken Wing Marinade you’ll ever need because these wings are so juicy and flavorful they’ll melt in your mouth! 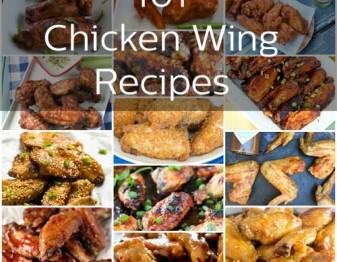 Wings are one of the things you absolutely have to have at any football game or party with friends (like New Year’s Eve parties). 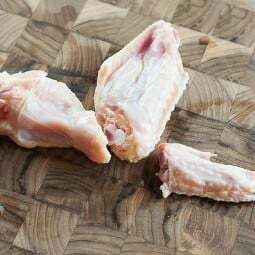 But in order to make the very best chicken wing marinade there are a few things you need to know. 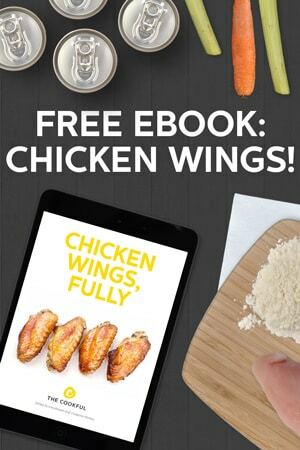 Lucky for you, we’ve got you covered – not only with the best wing marinade, but also all the best chicken wing recipes you could possible want. Just check them all out. 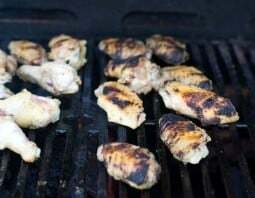 Why use a chicken wing marinade? 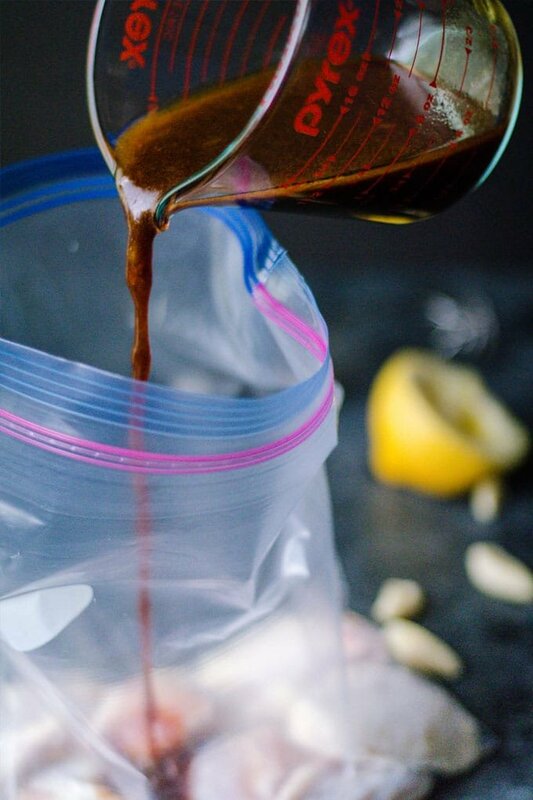 Marinades are a great way to tenderize and add flavor to the meat. It’s especially good to use for tough cuts of meat as it tenderizes them while adding flavor. 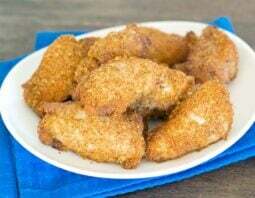 Even though chicken wings aren’t tough, it’s the perfect way to add flavor to this party food. What is a good marinade made of? There are many different varieties and flavors of marinade. However, marinades usually consist of some basic ingredients – sweetener, salt and acid. Salt and sugar both break down muscle fibers in meat to some degree, but acid does a lot of the hard work. 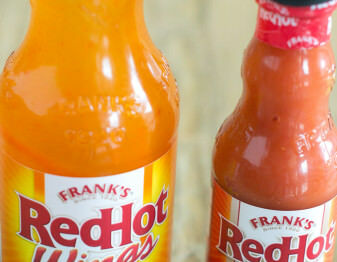 Once we have that covered, we can add a variety of spices and flavor enhancers to get just the taste we’re craving. What makes a good wing good? 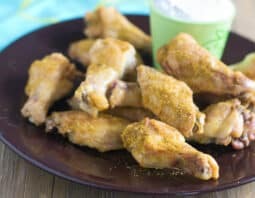 I have my own opinions, but I figured I’d ask a group of people what they thought a good wing has and we all agreed – the chicken wings need to be tender and fall-off-the-bone, they need to be crispy and they need a hot and tangy sauce! Less than 24 hours – You need to be careful not to marinate the meat too long because the acidity from lemon or vinegars can actually damage the meat by breaking it down too much! What can you do with leftover marinade? You can use the marinade as a sauce if you like. The important thing to note here is that you must bring it to a boil to kill any pathogens from the raw meat before using it. Then, whisk together a small amount of water and a tablespoon of cornstarch per cup of liquid you are trying to thicken and whisk it into the marinade mixture in a small saucepan over medium heat. Whisk continuously until thickened. Enjoy the recipe and let us know what you think! Mix liquids together in a medium-sized bowl then whisk in garlic powder and ginger. 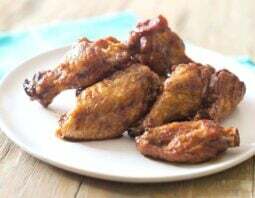 Place chicken wings in a large baggie, pour marinade in and let it marinate in the fridge for 2 hours or overnight.